When you receive a last-minute invitation to a date or a cool party, the wish to refuse can be strong because your working day has been etched on your face. Luckily, you can use some makeup tricks to be the star of the evening. Bright Side has collected some recommendations that will help you freshen up your face quickly. Instead of wasting time masking your face with foundation, it is better to take 15 minutes to help your skin recover. To get the best out of "reanimation" remedies, you should first cleanse your skin well. For this, there is a cool mask, which will cleanse your pores and remove blackheads. To make the mask, pour 2-3 teaspoons of milk into a bowl, and add 1 tablespoon of gelatin. Let it soak for some time. Microwave the mixture for 30 seconds or until the mixture takes on a creamy consistency. When the mixture is touchable yet warm, carefully apply it to your face. Let the mask dry, and then peel it off gently. If you need to remove blackheads, you can use a quick mask. Combine honey and cinnamon until you get a paste. Apply it in a skinny layer over the blackheads, and place a strip of clean cotton over it. Remove it after 5 minutes, and rinse your face. You can use a prepared mask to pamper your tired skin, or you can make this mask yourself. We are sure you already have some of the ingredients in your fridge. For dull and lifeless skin, mix apple juice with honey. Apply a thin layer to your face, and leave it for 5 minutes. For dark circles and puffy eyes, you can use a simple potato. Finely grate one potato, apply to the area under your eyes, and leave it on for 15 minutes. To tone dry skin, make a mask with curd and sour cream. For oily skin, you can mix a whisked egg white, olive oil, and several drops of lemon juice. For normal skin, a mask with banana and grapefruit is a good option. Irritated skin can be calmed down with a buttermilk mask. Just apply it to your face for 15 minutes. Whether you have combination skin or you want to treat multiple issues at once, the simultaneous use of several masks is a great solution. To make your face look fresh for the whole evening, you should moisturize it well. For this, you need to choose the right type of product. For dry skin, creams with a beeswax base are a good choice. The cream should not contain water. For oily skin, you should use light emulsions and fluids which contain natural silicone (dimethicone). For normal and combination skin, creams with mineral oils and dimethicone are good moisturizers. To mask different imperfections, try color correcting: green will neutralize any inflammations; peach and pink colors will brighten up dull skin; yellow will mask vascular spots or small scars; orange will help to mask dark circles under your eyes. If color correction is not enough to get rid of those dark circles, you can try applying wet tea bags to your under-eye area. After that, mask the rest with a concealer. Apply the concealer not in a half-circle shape right under your eyes but in an inverted triangle shape. To get a really cool tan you don’t need to go to a solarium. You can create a toning cream by mixing your favorite moisturizing cream with cocoa. Keep in mind that the mixture should be a little darker than the desired shade. This advice will help you curl long hair fast. Just twist part of your hair, and slide a hair straightener along it. If you think that doing your hair is a 30-minute or a 1-hour event, then you might be mistaken. You can easily find much quicker options from various bloggers. 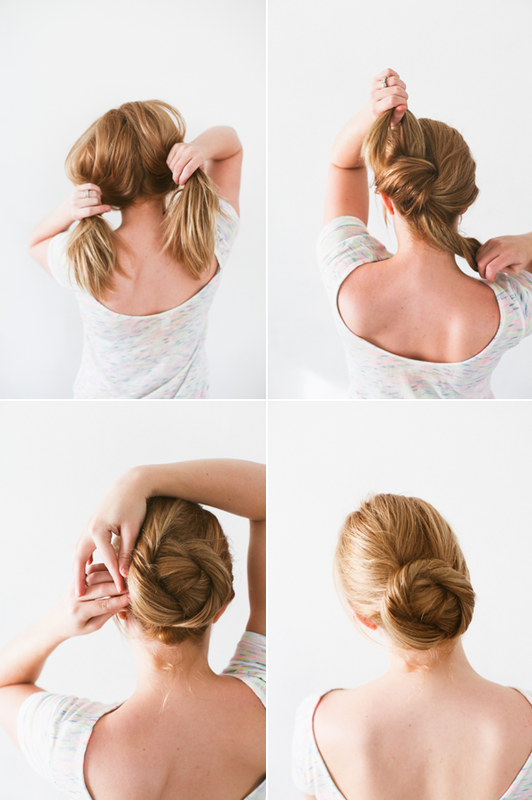 For example, an elegant twisted bun will only take 5-10 minutes of your time. You can easily create a perfect ponytail in 5 minutes as well as other fast and simple hairdos. If you don’t have time for visiting nail salons, there is a win-win solution which will always look relevant. And that solution is mirror nails. For mirror nails you don’t need to use a special nail polish — you can simply buff chrome powder (glitter) onto your gel nails. And here it is! A 5-minute manicure. You can also apply glitter to the tip of your nail for an excellent French manicure. Heavy makeup and foundation can worsen the condition of your skin. Instead, it is better to use light mousses and transparent face powders. Alternatively, you can apply your usual powder through a tissue. The powder layer will be as light as if you aren’t wearing any at all. A highlighter can mean a lot to us. It’s not necessary to contour your face completely — you can simply highlight your nose lines, cheeks, and the areas around your brows and lips. A thick layer of blusher is not something you need. A slight touch of the brush or a little liquid blusher will be more than enough. 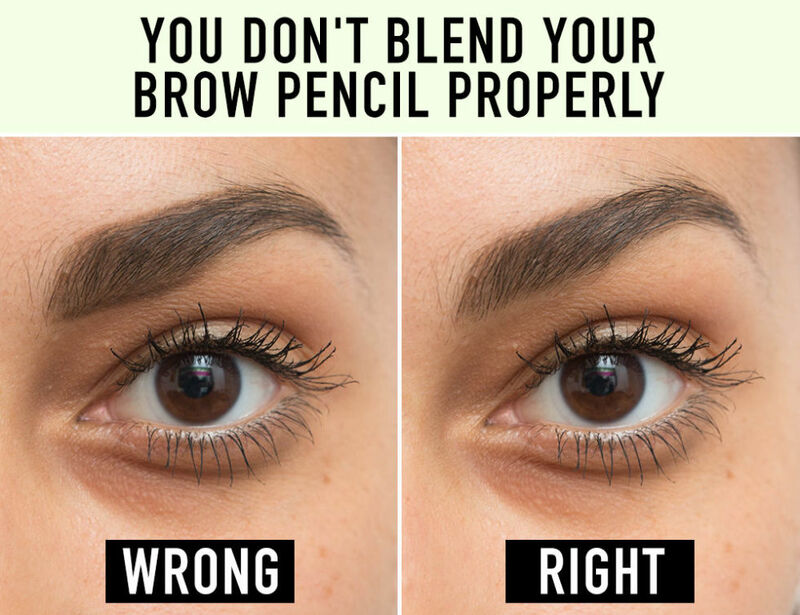 You can get ideal brows by following 3 main rules: don’t make them too square, blend your brow pencil properly, and don’t make your arches too long. To make your lips look stunning, you can plump them with the help of a toothbrush, sugar, cinnamon, and olive oil. Apply sugar to a toothbrush, then gently scrub your lips. After this, apply a mixture of cinnamon and olive oil. If you want to retain the shape of your breasts, rub Vaseline on them every night before going to bed. After 2 weeks, you’ll notice that the skin has become more elastic and moisturized and is generally firmer.